10 *Useful* Skincare Tips For The Bride Who Wants To Go Easy With The Make-Up! 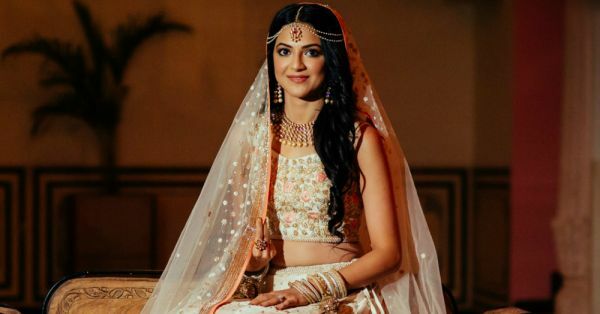 There’s a reason why Anushka Sharma’s ‘au natural’ bridal make-up looked so good! It wasn’t just about the make-up. The best way to achieve a great minimalistic look on your ‘D-day’ is to have a proper skincare routine in the run up to your wedding. We’ve got the essentials covered here that address multiple skincare needs. If you follow these for a few weeks before your wedding, you’ll find it easier to achieve a great glow with minimal make-up! Make a trip to the dermatologist in case you have problem skin or need to get your scars lasered. These treatments usually span weeks and require solid recovery time too. So plan in advance. It doesn’t always take expensive products to make your skin glow. Raid your kitchen for ingredients like haldi, lemon, tomatoes, honey, milk etc as they work wonders on the skin. We know you’ve heard this before, but caffeine tends to dehydrate the body and leaves your skin looking tired. So, try not to go over two cups a day. During the run up to your wedding, it usually gets harder to get in the much needed sleep time. We suggest you take your ‘beauty sleep’ seriously, because if you’re not well rested, it will show on your skin. It’s a known fact that exercise helps flush out toxins, leaving you with radiant skin. Simple yoga or even brisk walking can make a huge difference. Nothing clears up the system (and subsequently your skin) like water does. You could also add some lemon to it if you want to combat bloating. For that matter, no plucking or grooming should happen on the day of your wedding. This is because it could lead to redness, which is not something you want, obviously! And we don’t mean it in a regressive ‘you need to look fair’ kind of way but hyper pigmentation is something that can happen to any skin tone. So make sure it is a part of your daily beauty routine. Even if you think it’s barely anything, remove your makeup before you sleep. Not doing so will clog your pores which can lead to ugly breakouts. POPxo Recommends: Garnier Micellar Water available at Nykaa for Rs 149. To avoid any last minute risks and nasty skin reactions, we recommend you skip this entirely. Even if you want to try a facial, do it at least three to four weeks before the wedding, so that in case of a rash or allergy, it has enough time to settle down. Happiness is nature’s strongest highlighter. Load up on it and enjoy being the naturally beautiful goddess-bride that you were always meant to be!